Whether you’re looking to grind or unwind, Tamp & Tap has you covered. This Downtown shop (with a second location in East Memphis) offers both coffee drinks and local craft beers. 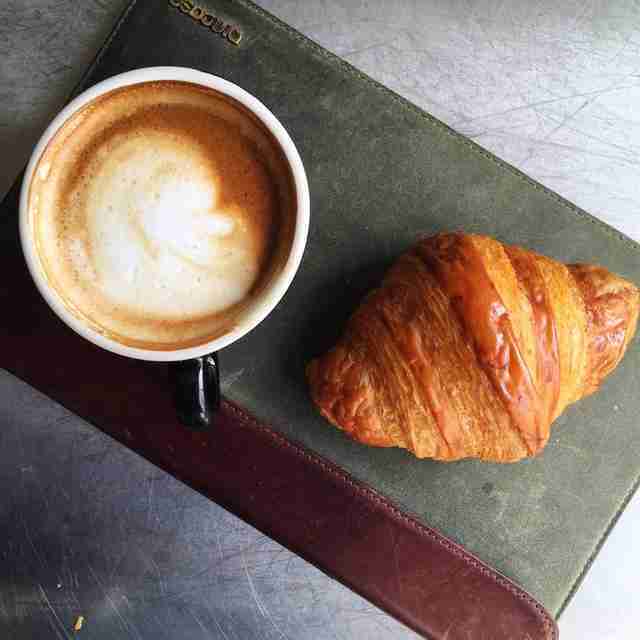 If you’re just getting started for the day, the Tennessean (a white-chocolate caramel latte) is not to be missed. Enjoy it in the spacious dining room with an order of the Nutella brioche toast. Stop by again after work for a locally brewed beer by one of Memphis’ craft breweries. Wednesday nights are pint nights, and feature trivia, with themes ranging from “name that ‘90s tune” to Harry Potter. 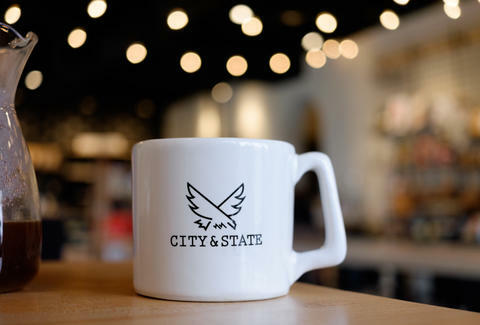 Part gift shop, part coffeehouse, City & State specializes in the pour-over method and offers unique gifts that aren’t available anywhere else in the city. There are plenty of local shops specializing in Memphis-made arts & crafts, so when City & State owners Lisa and Luis Toro opened their Broad Avenue Arts District shop, they opted to specialize in handmade goods not made in Memphis. The retail shop sells everything from skin-care products to kid’s toys to home goods to specialty nut butters from makers across the country. And since they found a space large enough to accommodate a coffee shop, the Toros made one room into a gorgeous, bright meeting room, with long community tables and a coffee bar selling Intelligentsia coffee. 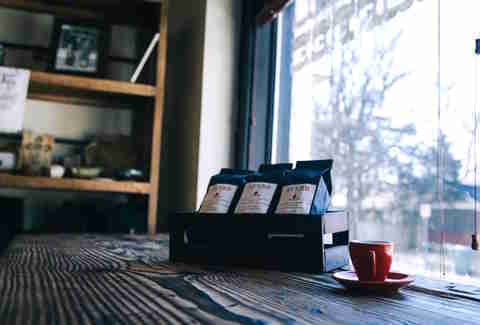 The original location of this local coffee chain (there are two other locations -- one Downtown and one near the University of Memphis) serves up Illy coffee, and customers can order it prepared by drip, cold brew, or French press. The specialty coffee menu offers up unique drinks -- often with Memphis-inspired names. The Star & Micey (named for a local indie band) features two shots of espresso, a mixture of white & dark chocolate syrups, and whipped cream. The massive coffee shop offers plenty of working space and a separate room for private meetings. There’s a full breakfast, lunch, and dinner menu of wraps, salads, burgers, and gourmet hot dogs. It's best known for its creamy baked mac & cheese, which is loaded with feta, Parmesan, and bacon. Try it in the Devil’s Pie (a pot pie stuffed with mac & cheese and spicy chicken) for a real treat. When you need a quick pick-me-up, Bluff City is your place. This Downtown coffee shop only offers espresso-based drinks -- no drip coffee. However, if it’s plain black coffee you’re after, your best bet at Bluff City is the Americano -- espresso diluted with hot water. There are also flavored lattes, mochas, and blended iced coffee drinks. 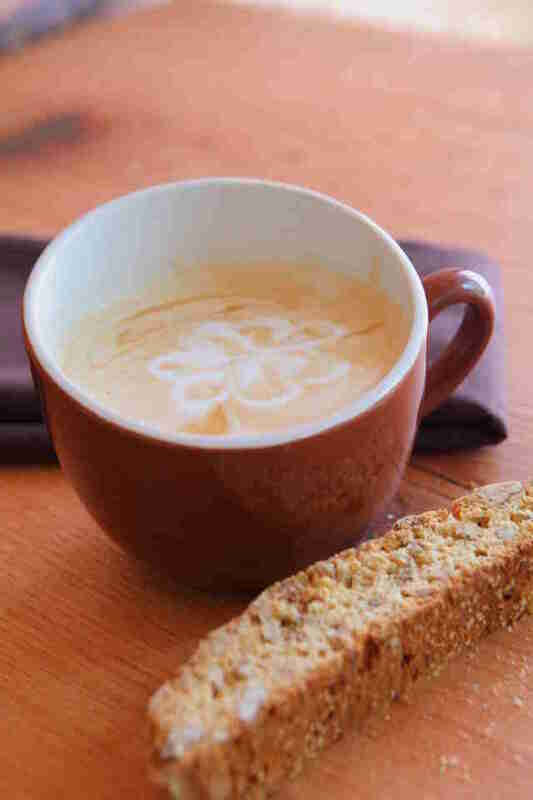 The Mocha Bianca is an espresso with steamed milk and white chocolate, and isn’t to be missed. Bluff City is frequented by Downtown workers looking to get out of the office environment, so there’s plenty of working space. Breakfast and lunch sandwich menus offer easy options for dining in or eating on the go. 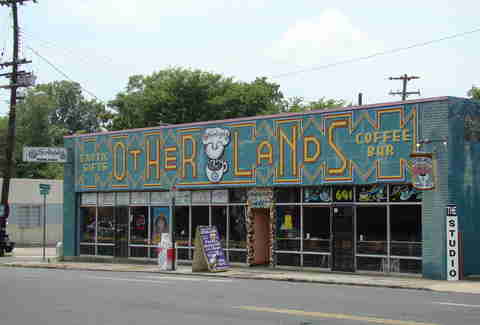 If one coffee shop fully encompasses the artsy vibe of Memphis’ Midtown district, it’s Otherlands. Full-length windows across the front of the shop allow natural light to pour into the funky, colorful space that’s filled with sofas, tables decorated with decoupage, mismatched chairs, and at any given time, Midtowners of all ages typing away on laptops, sketching in notebooks, or engaging in deep conversation. 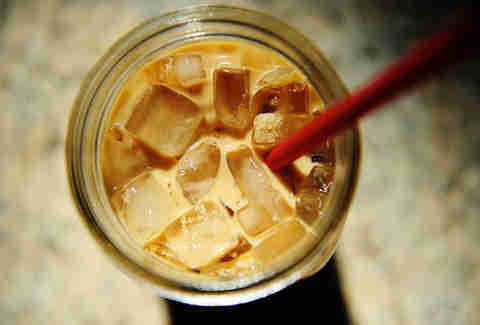 The coffee menu features the usual suspects -- lattes, Americanos, macchiatos, breves, and blended frozen coffee drinks. Fresh carrot juice and homemade Italian sodas are also on the menu, and the food consists of veggie burgers, kosher bagels (with dairy or vegan cream cheese), tuna melts, and breakfast burritos. The original owner of this funky Midtown-area coffeehouse was an Elvis fanatic, so the backroom at Java Cabana is a virtual shrine to all things related to the King. It’s a frequent haunt of poets, especially on Thursday night open-mic nights, and Java Cabana also often hosts acoustic acts. The flavored coffee drinks have Memphis-centric names: Mystery Train (vanilla hazelnut espresso with steamed milk and whipped cream), the Lisa Marie (dark roast with cocoa and raspberry), and the Jerry Lee (a double shot of espresso with dark roast coffee). The food menu is heavy on vegetarian selections (veggie quesadilla, meatless sloppy Joes, veggie burgers). Muddy’s opened its original East Memphis location as a cupcake and pastry shop, but when the popular bakery expanded to Midtown, owner Kat Gordon opted to make gourmet coffee drinks the new location’s focus. Of course, you can still get all of Muddy’s locally famous cupcakes at the coffee house location, but at the Cooper-Young spot, you can wash them down with espresso drinks, teas, and drip coffees. Muddy’s Grind House is located in an old historic home, and it boasts one of the largest coffeehouse patios in town. Order a caramel cream latte and a Prozac cupcake (chocolate cake with chocolate buttercream), and enjoy them from the breezy patio overlooking busy Cooper St.
A favorite among students at the University of Memphis, this small coffee shop is tucked away in a residential neighborhood, surrounded by modest homes near the city’s public university. This shop, a project developed through Mid-South Christian College, offers patrons a chance to give back as they enjoy their morning cup. Each month, the Avenue picks a different charity to which to donate a portion of its proceeds. 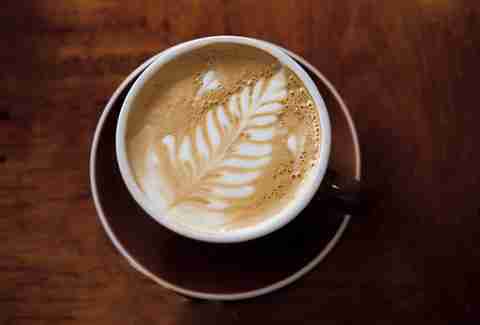 In keeping with its mission of supporting local, the Avenue uses locally roasted beans from Reverb Coffee for its drinks and flavored lattes. Desserts range from pecan pie to orange cranberry muffins to ice cream. For heartier appetites, specials include sandwiches and, when the weather turns cold, vegetarian chili. Patrons can also purchase bags of Reverb Coffee to take home. Local coffee roaster Ugly Mug sells its organic and fair-trade beans at stores all over the Mid-South, but fans can get their beans fresh-brewed at UM’s tiny flagship shop in East Memphis. Espressos, cappuccinos, mochas, and blended frappes are on offer, and bags of its whole bean and ground coffees can be purchased at the shop for a discounted price. The small menu features breakfast & lunch items, as well as pastries (like the buttermoon pound cake) that are prepared by Memphis’ La Baguette, a French bakery. Though the shop is tiny, there are a few tables and a small patio for those looking to stay and work or socialize. Primarily known as a craft butcher shop, this hangout also serves up gourmet coffee and tea drinks inside its bright, clean cafe. Tables are decked out with fresh-cut flowers, and all the natural light makes the space ideal for working or catching up with friends over cinnamon roll bread pudding or a ham & cheese croissant. 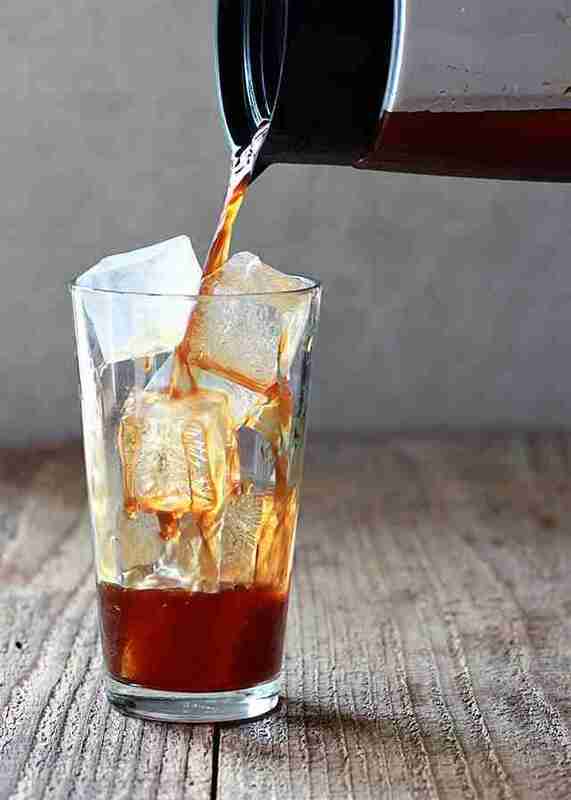 Coffees are prepared using multiple methods, including pour-over and cold brew. Porcellino’s also offers nitro coffee, where creamy textured coffee is pushed through a keg with nitrogen. There’s even a Vietnamese chicory coffee served with sweetened condensed milk. Katie Smith is a writer for Thrillist. She wrote this feature at Otherlands while enjoying an iced latte and a couple slices of cheesy toast.